She became active in the anti-slavery movement (as did her brother Henry Brown Blackwell who married Lucy Stone, a suffragist). Another brother, Samuel Charles Blackwell, married another important figure in women's rights, Antoinette Brown. 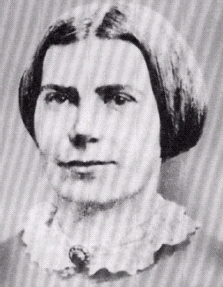 In 1845 she went to Asheville, North Carolina where she read medicine in the home of Dr. John Dickson. Afterwards she read with his brother Dr. Samuel Henry Dickson in Charleston, South Carolina. During this period, Blackwell became increasingly involved in reform movements. She resolved to become a physician, more as a means to achieve her ideals than as an end in itself. She pursued her goal of studying medicine privately while she was still teaching, first with John Dickson in Asheville, North Carolina and then with his brother, Samuel, in Charleston, South Carolina. When Blackwell's attempts to enroll in the medical schools of Philadelphia, Pennsylvania, and New York City were rejected (by twenty-nine different schools), she wrote to a number of small northern colleges.